Classical music refers to art music that has been produced since the late 10th century although it established itself in the form as we know it today between the mid-16th century and the end of the 19th century. 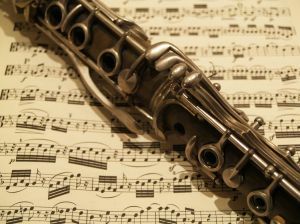 This period, known as the common practice period saw creation of some of the greatest masterpieces of all times that were written by composers such as Johann Sebastian Bach, Antonio Vivaldi, George Frideric Handel, Wolfgang Amadeus Mozart, Ludwig van Beethoven, Frederic Chopin, Giuseppe Verdi, Richard Wagner, Peter Ilyich Tchaikovsky, to mention only a few. Despite being composed over centuries ago, the works by the mentioned composers are still a common feature as a background music for various events, television programmes, films and advertisements as well as a standard repertoire of classical concerts worldwide. The common practice period was followed by modern and contemporary period that was marked by a major shift from the late 19th century classical music and introduction of a number of new forms of music. Examples include modernism, futurism, minimalism, electronic music, New Simplicity, New Complexity, Polystylism and spectral music. Some of the most prominent composers of the 20th and 21st century include Igor Stravinsky, Sergei Prokofiev, Charles Ives, Pierre Boulez, John Cage, Michael Nyman, Edgar Varese, Bernd Alois Zimmermann and many others who are recognised worldwide. Most of 20th and 21st century composers don’t enjoy the fame of their counterparts from the common practice period. While just about everyone know who is Wolfgang Amadeus Mozart or Ludwig van Beethoven, many of the most outstanding modern and contemporary composers are known only within the classical music scene and its followers. Classical music in the UK was influenced greatly by the European musical developments but it managed to retain its distint character. In comparison to the rest of Europe, most notably Italy and Germany, Britain didn’t produce as many internationally renowned composers but those it did can rival the greatest names of classical music. 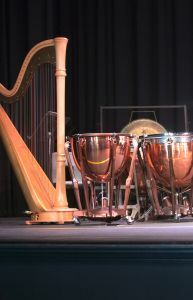 Some of the most famous and influential British composers include George Frideric Handel, Felix Mendelssohn, Edward Elgar, William Walton, Gustav Holst, Benjamin Britten, Ralph Vaughan Williams, Andrew Lloyd Webber and Peter Maxwell Davies. Opera and ballet are an important part of Western classical music and its tradition as many opera and ballet works were written by classical music composers. Both developed in Italy from where they spread to the rest of Europe. Just like contemporary classical music, contemporary opera and ballet are very different from that of the golden age of classical music which are still widely performed and enjoyed. Some of the most popular opera works are those from Mozart, Rossini, Bellini, Verdi, Puccini, Wagner and Strauss. 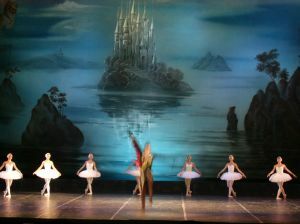 The most widely performed ballets, on the other hand, include Tchaikovsky’s The Nutcracker and Swan Lake, Mendelssohn’s A Midsummer Night’s Dream and Prokofiev’s Cinderella, to mention only a few.